The Xbox Games with Gold for April 2016 have been announced. For the month of April, Xbox Live Gold members will receive four new free games: two on Xbox One and two on Xbox 360. Courtesy of backwards compatibility, Xbox One owners can also enjoy the Xbox 360 titles on offer. 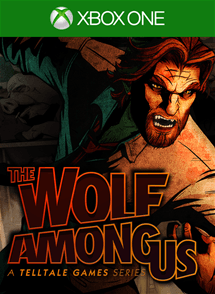 From 1 – 30 April 2016, Xbox One owners with Xbox Live Gold memberships can grab The Wolf Among Us, for free. Based on the award-winning Fables comic book series by Bill Willingham (published by DC Comics’ Vertigo imprint), The Wolf Among Us is a dark, often brutally violent, and mature take on the characters and creatures of fairytale and legend. 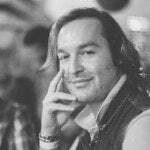 A five episode series from the creators of the 2012 Game of the Year: The Walking Dead, the player will experience what it’s like to be Bigby Wolf (THE Big Bad Wolf), Sheriff of Fabletown. 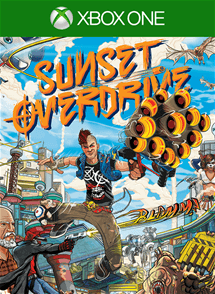 From 16 April 2016 – 15 May 2016, Xbox One owners with Xbox Live Gold memberships can go on a wild and colourful adventure in Sunset Overdrive, for free. In Sunset Overdrive, the year is 2027 and Sunset City is under siege. A contaminated energy drink has transformed most of the population into toxic mutants. For many it’s the end of the world, but for you it’s a dream come true. Your old boss? Dead. Your boring job? Gone. Transform the open-world into your tactical playground by grinding, vaulting and wall-running across the city while using a devastating, unconventional arsenal. 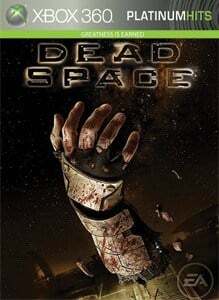 From 1 – 15 April 2016, Xbox One and Xbox 360 owners with Xbox Live Gold memberships will be able to scare themselves witless with Dead Space, for free. When an immense mining ship, the USG Ishimura, comes into contact with a mysterious alien artifact in a remote star system, its communications with Earth are mysteriously cut off. Engineer Isaac Clarke is sent to repair the Ishimura’s communications array, but he arrives to find a living nightmare-the ship is a floating bloodbath, the crew unspeakably mutilated and infected by an ancient alien scourge. Clarke’s repair mission becomes one of survival as he fights not just to save himself, but to return the artifact to the planet … at any cost. 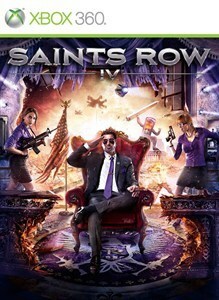 From 16 – 30 April 2016, Xbox One and Xbox 360 owners with Xbox Live Gold memberships can go crazy in Saints Row IV, for free. The epic conclusion to the game that changed all the rules! The Saints have gone from the crackhouse to the White House, but the Earth has been invaded and it is up to you to free the world from Overlord Zinyak and his alien empire. With homies new and old by your side, and an arsenal of superpowers and strange weapons, you must save the world in the wildest open world game ever!